Welcome to the world of Instagram—an immensely creative and engaging platform where you can connect with millions of users and promote your brand effectively. With almost 70% of brands across the world finding new ways to engage with the Instagram community, it's high time your brand followed suit. To discover how you can use Instagram skillfully for promoting your products and boosting sales, read on for salient pointers we at Hashtag17 have compiled. This is the virtual space your brand or company will occupy; accordingly, it needs to be designed and customized keeping in mind your brand's unique identity and its core values. You should include a link to your website or a target landing page in your bio, since that's the only place Instagram allows you to post a webpage link. 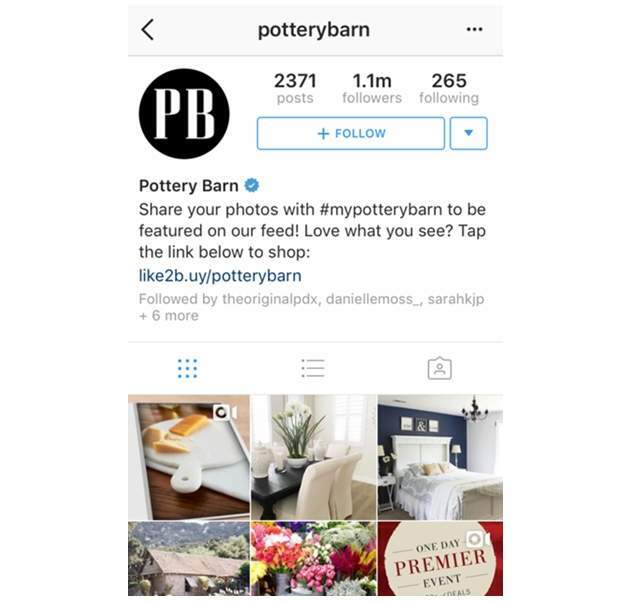 For example, the Pottery Barn Instagram bio includes a link to its website; customers can view the company's products on Instagram, and they are then driven to visit the website through that website link. Meenakshi Venugopal is a co-founder and the managing partner of online marketing company Hashtag17.